Former British Prime Minister Tony Blair who played a major role in starting the Iraq War has said that i read Holy Quran Everyday. 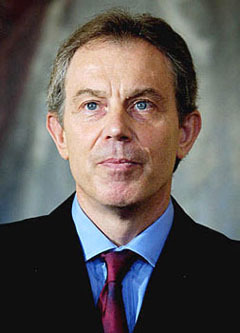 Tony Blair Came closer to religion after he resigned as British Prime Minister Several years back. Tony Blair Given a Interview to The Observer few days back in which he confessed that he reads the Holy Book of Muslims Quran almost everyday. Tony Blair also called Holy Quran a reforming book. He also said that its a book that contains knowledge of Science and rejects superstition. Last Year Blair's Sister In Law Lauren Booth was converted to Islam. Tony Blair is not a much liked Person in Muslim World as he played major role in starting the war against Iraq.